Happy Friday! 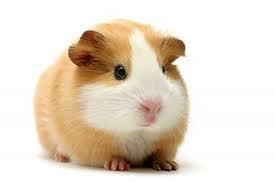 I have been trying out lots of new products to share with you all and feeling like a guinea pig. Some things have been hits and some have been misses and oh, I bought a purple mascara but I have been too much of a wimp to try it out yet. I’m having flashbacks to 8th grade! You know how I mentioned I have been having skin problems? Well, they have been lingering and I decided I needed a little extra help to get over the hump. I picked up a packet of Que Bella on a Target run. This is pretty much a double serving packet, so I made my husband wear it too. We looked awesomely silly wearing it! And you know what? It worked really well. 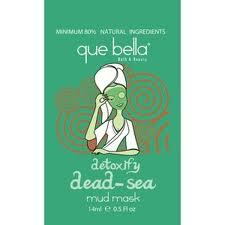 I think need to start doing masks more often and make this part of beauty routine. Ding! Ding! Ding! Folks, we have a winner. Falsies is my new favorite mascara, I may even like it better than Lancome Defencils. Considering that it is significantly cheaper than Defencils this is a huge find. This mascara volumizes, lengthens and generally makes your eyelashes look awesome. There was no flaking but still I did have a tiny bit smudging at the end of the day. Sadly, I think that is the norm for me and my oily eyes. I just wish the pigment was just a little bit darker with this mascara. I bought the blackest black (tres noir) version and felt it could still be darker. I received a sample of Yu-Be in my August Birchbox. 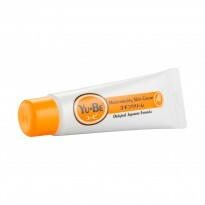 Yu-Be touts itself as a miracle cream but it wasn’t for me. It smelled strongly of camphor (even more so than carmex) and has a strange texture. I tried it on my lips and cuticles. I really, really hated the feeling of this cream on my lips and it felt was drying instead of moisturizing. It worked nicely on my cuticles but I do not think it is worth $16. Sorry Yu-Be. Well, first it should be said that I usually blow dry my hair straight. I have naturally curly hair but I can never get it to dry curly the way I want it to look. However, on super humid days I will throw in the towel and just let my hair do what it wants to do. 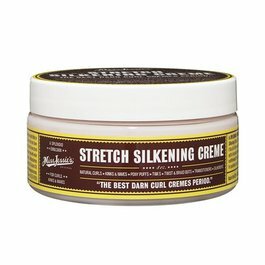 I tried Miss Jessie’s Curl Creme on such a day and it could have been the creme or it could have been my mental state but I thought my hair looked like a hot mess after using this cream. Smells great but that is not enough to recommend. I’ll be at the beach the next few days weeding my way the September issue of Vogue. 916 pages, holy cow! Have a great weekend! Great post 🙂 I’ve been wanting to try Falsies for a while… Nice to hear it’s a good product! Thank you! If you do check it out let me know what you think. Defencils is the gold standard for me so I was surprised that I liked a drugstore mascara just as much.